Fully furnished and well equipped executive suites and open-plan workspace close to Sendai Station in the city"s central business district. The prestigious business address is close to a large shopping mall, banks and well known restaurants. 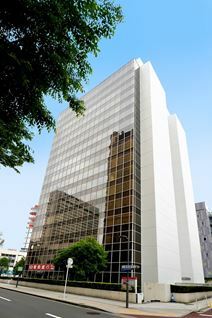 Providing compact office space near the station from a landmark building in north east Japan, tenants will be situated within a popular business district of Sendai and surrounded by shops, hotels, cafes and restaurants. One of the best commercial developments in the Sendai city. directly adjacent to Sendai station, the main terminal station of the city. The centre is in Ichibancho. You can easily access to the centre by bus at Aobadoriichibanchoeki Bus Stop. The centre is surrounded by shops, restaurants and transport connections. The is an office space that offers a number of office solutions for your business, this centre offers co-working, private office and virtual office solutions on flexible and affordable terms. Support your business with the infrastructure this centre offers, and on-site staff that are on hand to assist with administrative and reception support. If you're not looking for a permanent set-up, this centre's coworking and hot-desk options are perfect for you. Drop in when you need to and take advantage of the high-speed internet, communal kitchens and fantastic on-site management support, all on a first-come-first-served basis. For your daily commute, there's plenty of choice - you can drive and park at one of the nearby off-site spaces, just a minutes' walk. Alternatively, you can take the underground - Hirose-dori station is just a seven minute walk, with Sendai overground station just five minutes further.